M&Co Slim Leg Stretch Pattern Jeans size 14. M&Co Ladies Skinny Jean Size 18 Regular, Beautiful Design, Lovely Condition . What we have here is a beautiful pair of M&Co Ladies Skinny Jeans in a size 18, they are in lovely Condition Overall. Postage will be charged. Please check out my other items I am more than happy to answer any questions Asked. I am more than happy to combine postage just ask. New items added daily. Tiny beads on the right front pocket and tiny beads on both back pockets. 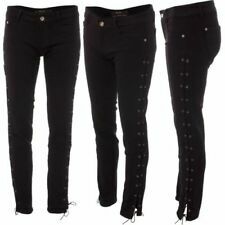 Lovely pair of M&Co very stretchy black faux leather look skinny jeans. Inside Leg 29. Really stretchy so very comfortable to wear. M&Co Black Cropped Jeans, Size 12, inside leg 22 inch approx. Excellent condition. Will combine p&p. 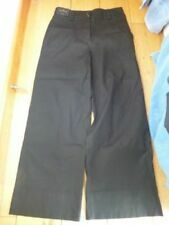 You Are Buying A M&Co Bootcut Jeans Size 12 Leg 30" Black Faded Ladies Jeans.